Babies are not adults – not so obvious to law makers! 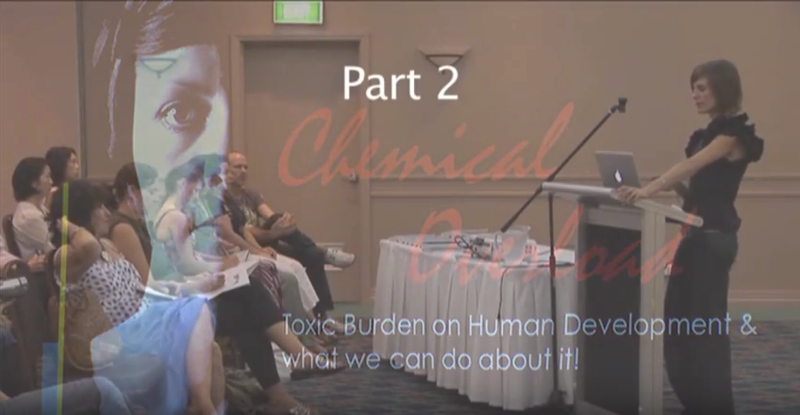 DTT was banned over 30 years ago but it is still showing up as one of the over 200 chemicals found in the umbilical cords and placentas at birth. 30 years and generationally we still are being impacted. 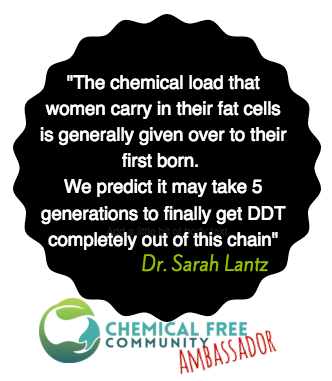 Learn more about this generational impact with Dr Sarah Lantz. 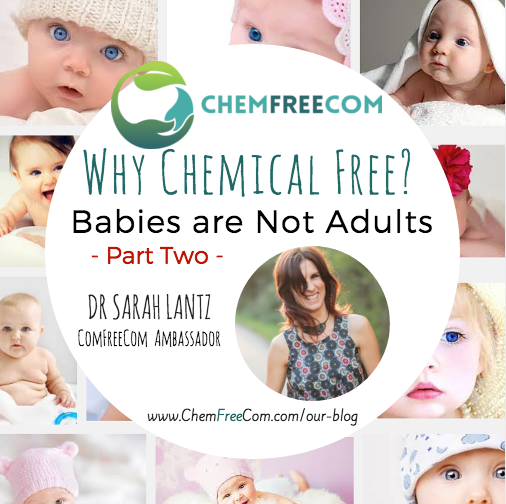 In this chemical world we live in can I pass on my chemical burden to my kids? Why are children more at risk of the impacts of chemicals? Sarah shares her research on toxins in our bodies and the impacts they may have on and our family. Q1. Why has your research focused so much on Children? Statistics tell us that we are now birthing a generation of pre-polluted children that are born with more drugs in their system and are then subjected to even more drugs or chemicals after they are born. And at such a young age they do not have the same ability as adults do to detoxify their bodies. We need to understand more and change what we are doing? Q2. Why do these chemical exist in the babies at birth? So many of these chemicals are what we call “fat loving” – such as the likes of DDT. Even though it was banned in the 70’s, my great grandmother passed it on to my mother, she to me and onwards. The chemical load that women carry in their fat cells is generally given over to their first born. We predict it may take 5 generations to finally get DDT completely out of this chain. Q3. Why are pesticides, such as DDT, so bad? Pesticides by their very nature are designed to attack the central nervous systems, the immune systems and the cellular structure of the weeds or pests they are designed to combat. Our make-up is not that different, so why wouldn’t we think that pesticides would have the same impact on us. Recently a study of the pesticide residue levels in 1139 kids showed that kids with higher levels of residue had increased behavioural problems, learning difficulties and a higher portion on the ADHD spectrum. Q4. What are the impacts of industrial chemicals such as pesticides? Our study showed that of the industrial chemicals we found, 134 caused cancer, 151 were related to birth defects, 130 impacted immune system toxicity as well as infertility, endocrine disruptors and the neuro-toxins related to Autism. Q5. Why should we be more aware of the impact on our kids? They are not adults, but so many of our laws that cover such things as dosage, are defined around what an adult can absorb. We need to be more aware that children eat more and drink more per kilo of weight than adults, their skin is more absorbent and they even breathe more than adults. They are also floor dwellers and are closer to the carpets and floor coverings that can contain many chemicals such as flame retardants. Missed part One- The Body Burden. Click here to read.